One of the biggest challenges any small to medium business will face is building and managing an effective digital marketing programme on a tight budget. How can you successfully attract new customers, and keep them, without blowing a hole in the company wallet? With a little time and imagination (and even littler resource) it’s not too difficult to create the ideal strategy and make it work. It’s simply understanding that it’s an ongoing project of trial and error, and basically plugging away at it. But what areas should take priority? Social media is not just about posting what you had for lunch. When it comes to business, it’s one of the most powerful and cost effective resources for any SME and without it a massive opportunity is missed. Social media gives you the chance to build trust in your brand within a largely willing community of users, and invites users to share it in a very organic way. It’s important to think about social media as a long term investment and dedicate internal resource to it. Someone in the team will need to be regularly checking Facebook, Twitter (wherever you have an account) to keep it useful and fresh. Your website is your shop window. It not only shows potential customers what you have to offer, but gives them a feel for your brand, ethics and authenticity too. There’s little point in building a glittering website that no one can find anything on, or that contains a lot of waffle and no substance. Use your website as your number one marketing tool. Design a dedicated page that offers unique, easy to read content that visitors will understand and act on. It’s worth remembering that your website should be less about sales and more about serving the requirements of your customers, something that is vitally important to SMEs looking to organically drive revenue. Make sure you choose a colour scheme that reflects the nature of your business, as well as attractive imagery which helps tell the story of your brand from the start. Get this right and you’ll reap the rewards. 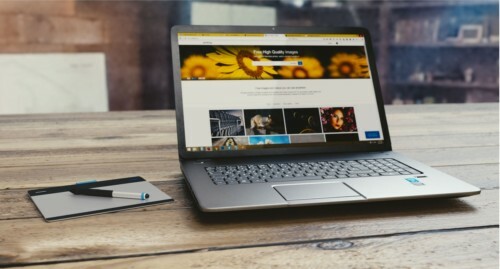 Pexels.com is a great site for free stock images to spruce up your website. Keeping hold of existing customers as well as gaining new ones is vital to any SME and email marketing is a great way to do this. If you’re not keeping in touch with your existing customer base then you’re at risk of them forgetting you, meaning you lose out on potential revenue. So make sure you keep a mailing list and let people know about latest offers, news and promotions to keep them interested. Whilst you’re growing your business, it’s well worth targeting your local community first and then expand later when you have more budget. Remember too, that for many SMEs it’s a good idea to consider joining forces with a similar local brand or one that offers a service that fits well with yours. By collaborating with other local businesses you can then incentivise customers with joint promotions, vouchers and offers that will help to build your own brand but will also bring extra ideas and resource. Two heads are better than one, as they say. It might seem obvious, but it’s easy to forget as businesses become more focused on the day-to-day running of the operation and less focussed on the digital marketing side. Keep creating a buzz about your brand; shout about the exciting things you’re doing and have some fun. If you’re bursting with enthusiasm, then your customers are likely to pick up on that. Send out those positive vibes and see what you get back! On a similar vein, if you’ve found this article interesting and want to keep updated on the latest at Buckinghams, follow us on social media below! Feel free to contact us regarding the article, or anything else you may have queries about. For details about policies, you may simply want to check out our Business Insurance page here.